What’s not to love about The Big Bang Theory? The characters are lovable, the comedy ranges from farce to the very subtle and it is, without a doubt, the best US comedy TV series that I think I have ever seen. Sheldon, Leonard, Raj, Penny and Howard still manage to raise a laugh, even if you are watching re-runs for the umpteenth time, and the writers have yet to run out of new ideas too. Now one of the most popular TV shows in the world, The Big Bang Theory is the show that has made geeks trendy and given some ageing Star Trek stars a chance to get back on our screens. Here are ten facts about The Big Bang Theory that you may not have known. Despite the fact that Sheldon loves Star Trek, Jim Parsons, the actor who plays Sheldon Cooper, says he has never even watched the show. Fans may be disappointed to hear that Jim Parsons’s also says the he is nothing like the character that he plays and The Big Bang. The equations that you see in the show, written on whiteboards in Leonard and Sheldon’s apartment aren’t all gobbledygook, they are actually real scientific equations. The Big Bang Theory producers hired a real physics professor to make sure that the physics is real. Although you often see the characters walking up, or down, several flights of stairs in the Big Bang apartment block, the set only has one flight of stairs. The cast has to break up the stair walking shots so that the crew can rearrange things to make it look like they are walking down several different floors. Mayim Bialik, the actress who plays Amy Farrah Fowler, is the only member of the cast with a real PHD. In fact, she’s a bit of smart cookie all round. She has B.S. degrees in neuroscience, Hebrew studies, and Jewish studies as well her doctorate in neuroscience, which she earned in 2007. Some of the love scenes between Leonard and Penny have been really quite touching and looked very real. That could be because the actors, Johnny Galecki and Kaley Cuoco did actually date during the time that the first few seasons of Big Bang were being made. The song “Soft Kitty” will now forever associated with The Big Bang Theory and most people think that it was made up for the show. The executive producer of the show has said, though, that the song is a real one and he first heard it from his daughter. The workplace of The Big Bang characters is based upon the California Institute of Technology (Caltech) and students and staff of Caltech often appear in the show. Fans of the show will know that Sheldon can play the Theremin, Amy Farah Fowler plays the harp and, Leonard Hofstadter plays the cello. Not content with doubles or, faking it, the directors of Big Bang Theory made the actors learn to play their musical instruments for real. So, when you see them playing their instruments on-screen, they are really playing them. A team of Brazilian scientists named a newly discovered strain of bee “Euglossa bazinga” in honour of the Sheldon Cooper catchphrase. The show producer said the Sheldon would be honoured by their choice of name. 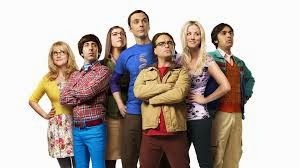 In 2009, a show called “The Theorists” appeared on Belarusian TV that was an exact copy of the Big Bang Theory. The show was scrapped after the cast walked out when they realised they were working on a rip-off show.